These straight resistance thermometers assemblies consist of a connection head Form B, a measuring insert per DIN 43 735 and a thermowell model TW81. Form A or C DIN-thermowells as well as thermowells with customer specific design are available. Process connection can be provided with a stop flange or pipe coupling, the latter type gives a gastight connection. 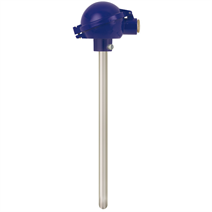 These temperature probes are suitable for gaseous media in low pressure ranges (up to approx. 1 bar). Various thermowell materials are used with or without enamelling to meet the requirements of thermal stress. The measuring insert is replaceable. This makes inspection and, when servicing is necessary, replacement possible during operation and while the plant is running. Selection of normal or standard lengths enables short delivery time and the possibility of stocking spare components. 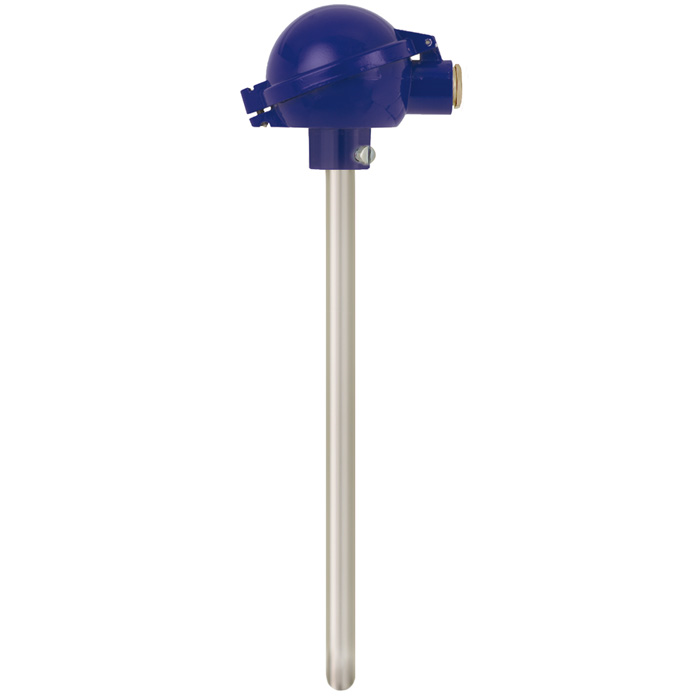 Thermowell material, connection head and sensor can be selected individually for the respective application. A transmitter can be fitted as an option. One of the advantages of a built-in transmitter is the increased reliability of the signal transmission.